Here’s another quick dose of Chipmunks – something that came out in the ‘80s but is more in line with the pre-TV-show Chipmunks. 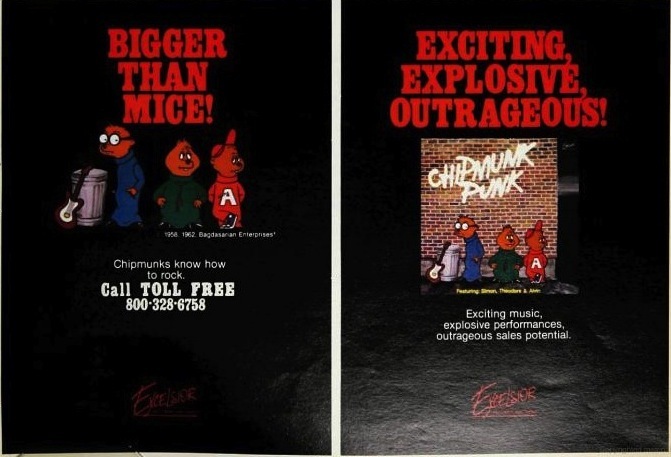 It’s “Chipmunk Punk”, a “fantastic collection” of top 40 hits that really couldn’t be less punk at all. The only thing remotely punk about this collection is the artwork, and that doesn’t even really do the trick. 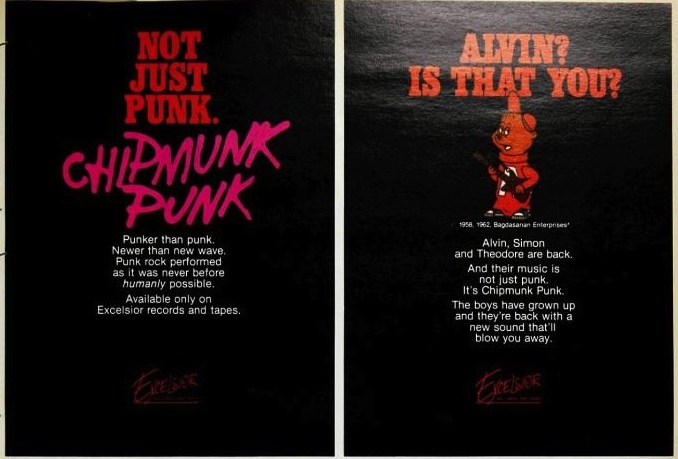 The Chipmunks take you through punk classics like Tom Petty’s “Refugee” and Blondie’s “Call Me” before peaking with Queen’s* punk anthem, “Crazy Little Thing Called Love”. And the other thing? The singing is really bad! They can’t even get that part of the gimmick right! Somebody get Alvin some lemon water. Sorry Dave, but Crazy Little Thing Called Love is actually Queen, not Elvis. Well, Queen pretending to be the King. I’m sure someone wittier than me can figure out a good joke there. Thanks for catching that; I’ve adjusted the post. I think a world where Elvis did that song is MY Berenstein Bears!